How can a person entering into the divorce process reduce the stress of the process? (a) Once you have found a competent divorce lawyer with whom you are comfortable, pick his or her brain to have all of the questions answered that you can. (b) There are many, many resources (the Statutes, Appellate cases, books by qualified individuals) where, in concert with your attorney, you may educate yourself on the many issues in divorce and how the law treats those various issues. There is no shortage of “how to” books in libraries and book stores on this topic. Some are helpful; some are less than helpful; and some are downright harmful in giving out incorrect information. For example, we literally have 50 different sets of divorce law in this country, because every state has its own unique divorce rules. California has “community property laws”, and Florida does not. In addition, up until recently, Georgia allowed certain people to have jury trials in their divorces! If you have the money to retain (or even just consult with) a divorce attorney, then they can give you some advice about which reading resources might be helpful and which might not. (a) We tell our clients that they are going to be better clients (more logical and better at decision-making), better parents and more efficient and effective in concluding their divorce case quickly with a satisfactory conclusion if they in turn try to take good care of themselves during the divorce process. (b) Divorces are emotionally draining and sap a person’s energy and time. This in turn leads to bouts of exhaustion and, in extreme cases, to depression. (a) Support groups – loving family and friends can be of invaluable assistance during the difficult time of divorce. Encouragement and comfort can help fight or reduce tendencies towards depression and despondency. Your pastor, rabbi or other staff member from your church may provide not only spiritual, but also personal emotional support during these tough times. (b) If the above avenues prove insufficient, you may consider the need for professional counseling, by a qualified, reputable and caring counselor, psychologist or licensed mental health therapist. Early on in my practice, I heard a divorce judge describe divorce parties as a group of being deep in “temporary insanity”. Another colloquialism is that while criminal defense lawyers meet “bad people at their best”, divorce lawyers often times meet “good people at their worst”, and I have found there is some truth to that, at least with certain types of people in divorce. There is something unique about the pain produced when a relationship that began in love unravels in conflict, distrust and hurt. Dealing with the pain in an intentional, positive way (which often times includes learning the power of forgiveness) can end up making the divorce process less destructive, and certainly can head off the lifetime of bitterness that some parties fall into by default. This is especially important when the divorcing parties are the parents of minor children who desperately need the two adults to learn how to work together as successful teammates for the best interest of the children, even if they can no longer work together as husband and wife. It may sound trite, basic or even elemental, but I often tell my clients that now is the time for them to concentrate on exercise, eating right and re-instituting their best routines for taking advantage of the rest that a good night’s sleep will provide. I have learned the hard way that the clients who can best help me help them are the clients who are able to think more clearly, control their emotions and pull themselves out of depression, rather than being crippled by the emotional whirlwind that a divorce causes in one’s heart, soul and spirit. The wisest decisions that are made in divorce litigation end up often times being nothing more than logical, sound business decisions. 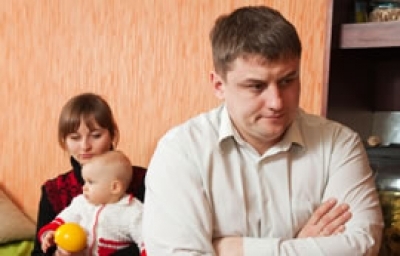 The worst (over the long-term) divorce decisions, on the other hand, are made by the people whose anger, bitterness and obsession with the other person’s infidelity, cruelty, addictions, abuse – take your pick – influence their decisions and these worst decisions often times have disastrous economic consequences in years to come.